Adding Abstract Design Through DIY – 3 Easy Ideas - Genue Inc.Genue Inc.
For this month’s DIY roundup, we’re inspired by the simple and dynamic abstract artwork of Vera Molnar. Making use of geometric shapes by layering them on top of each other to make interesting textures, the depth and sense of motion she manages to create in her lines are impressive. The simple-but-dynamic aesthetic has us inspired to create our own abstract geometric design! Read on to discover 3 easy DIY projects to introduce the Molnar look to your own wardrobe and décor. This zippered pillowcase-turned-tote bag by Teri at The Lovely Drawer is such a clever way to upcycle an ordinary item into a unique fashion statement! The minimalist design on Teri’s bag is chic and reminds of Vera Molnar’s simplicity of design—but you can draw whatever sort of design you’d like on your own bag! All it takes is a zip cushion case, an eyelet punching kit, some chunky black yarn, and fabric glue. First, use a pencil to sketch out your design on the front of the pillowcase. Then, cut your black yarn into pieces that can be glued on top of your sketch using fabric glue. Outline your sketch in the black yarn until you’re satisfied with the outcome. Then it’s time to add the straps! Mark where you want your handle holes on both sides, and then utilize a large eyelet kit to add the eyelets—it’s going to take some strength to get them on, so Teri suggests to use a hammer! Next, cut two pieces of thick rope into the length you’d like your straps to be, and tie a knot on one end of the rope. String the rope through the eyelets, and then tie another knot at the end, facing the inside of the bag. 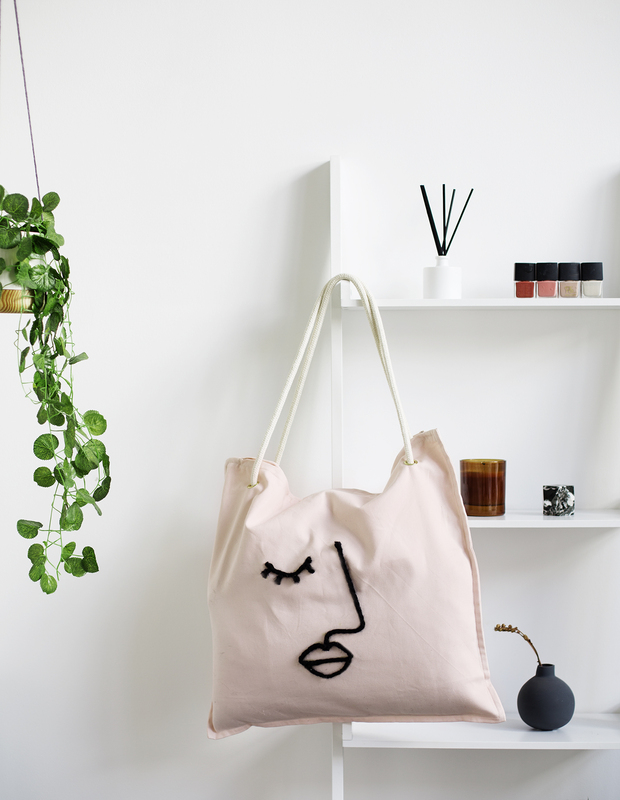 The final product is a functional tote bag that’s strong enough for any sort of errand run! This geometric patterned wall art by Maritza Lisa is giving us so many exciting decor ideas! This DIY is super simple—all you need is a graphic-editing program (how about drawing your own original geometric design in MyGenue app? ), a printer, some Bristol paper, and square frames of your choice. Draw your own geometric pattern in your chosen program, and then send it to print from whatever device you’re drawing on. Cut your design out to match the size of your frames, along with the Bristol paper to use as backing. 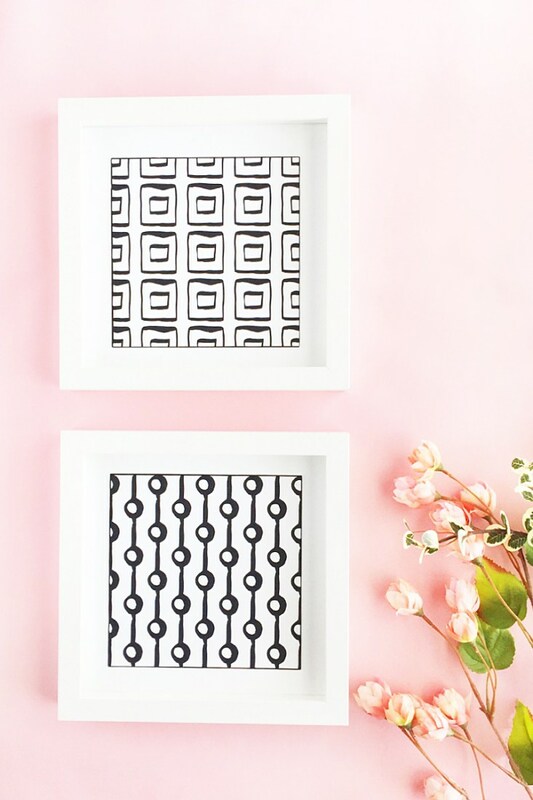 Take apart your frames and assemble your pattern inside—and voila! You have some original abstract artwork to hang wherever you like! 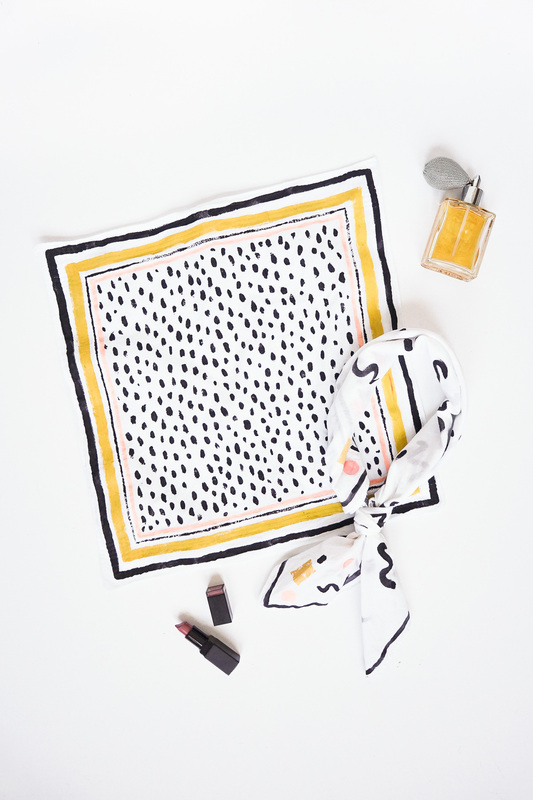 How cute are these hand-painted neckerchiefs by Sugar and Cloth? If you have an old handkerchief (or want to buy some online) why not give it your own personal touch by painting your own abstract design on it? All it takes is some acrylic fabric paint, a fabric paint medium, an iron, and a safe place to hang your handiwork to dry when you’re done! When you’re ready to start, lay your handkerchief flat, taping the edges down to your workspace surface to ensure an easy painting experience. Mix your acrylic paints with the fabric paint medium according to the suggested ratio on the bottle, and then begin painting! Don’t be afraid to get wild—follow Molnar’s example and try using dynamic abstract shapes in your pattern! When you’re happy with your masterpiece, hang your kerchief to dry, and then iron it for 3-5 minutes when it’s completely dry. When it’s finished, you’ll have a one-of-a-kind fashion statement for any season! What do you think of this minimalist abstract aesthetic? Would you like to try one of these DIYs for yourself? Let us know in a comment!